A simply gorgeous new Lunagirl collage sheet! The Victorians were fascinated with fairies, and often portrayed the fairy world as dark and mysterious, not just cute and light as we think of it now. You'll love these beautiful sensual faerie queens of the night! 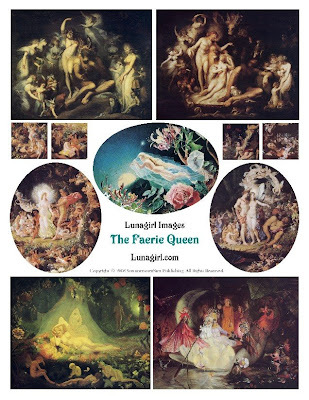 This digital collage sheet is available for purchase and instant download at Lunagirl.com.